The full range of Power Team / SPX Flow replacement seal kits for hydraulic cylinders. Maintain your cylinders for years to come with precision matched seal kits available from SGS Engineering. Maintain your hydraulic cylinders for years to come with the fantastic range of hydraulic seals for sale here at SGS Engineering. Whether they’ve been worn down or fitted with the wrong size cylinder seal, we have all sorts of options available so you can easily find hydraulic cylinder seals that will suit your needs. Each seal kit has been manufactured by SPX Power Team USA, who are leaders in the industry and guarantee strong and reliable products. 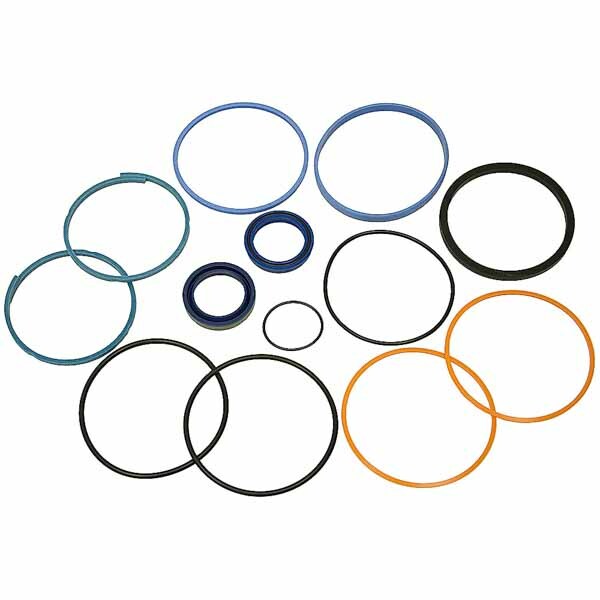 Browse the variety of hydraulic seal kits available below and discover an ideal choice that meets your requirements. Whether you’ve got relatively small 5 to 25-ton threaded-end cylinders, or larger 55 to 565-ton locking-collar cylinders, replacement seal kits for all such sizes can be found. It is important to check the specifics of your cylinders with the hydraulic seals online before ordering, to ensure they are the right match. The precision matched replacement seal kits will help better maintain your cylinders and guarantee effective usage in the future. They have all been designed to keep the cylinder seal as tight as possible, as long as the right sized one is attached to the appropriate cylinder. Take a look through the variety of hydraulic seals available online to find the perfect option for your needs or contact our technical sales team on 01332 576 850.